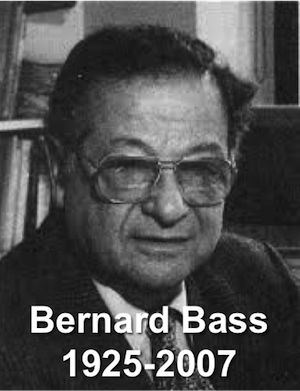 Bernard Bass was a world class scholar whom the Society for Industrial and Organizational Psychology describes as having invented organizational psychology. His vast array of interests within his field led to over 400 scholarly articles and a huge archive of unpublished work, alongside 31 books, of which he wrote 21 and edited 10. But of all his work, Bass will be remembered for one area where his passion and persistence led him to focus for over 20 years: leadership. Bernard Bass was born in 1927 in the Bronx, New York. In 1949, he gained a PhD in Industrial Psychology from Ohio State University, and started a career in academic life. A series of academic appointments took him from Louisiana State University to Binghampton University (part of the State University of New York), via UC Berkeley, University of Pittsburg, and University of Rochester. In the late 1970s, he read and reviewed Leadership by James MacGregor Burns (1978), in which Burns introduced the concept of transformational leadership. Bass put these ideas together with his experience of meeting someone who had worked for a leader that had motivated him to ‘perform beyond expectations’ and started to work on transformational leadership. In 1985, he published Leadership and Performance Beyond Expectations and this was followed by a string of other books on the topic of leadership. The fourth edition (finished shortly before he died in 2007) of The Bass Handbook of Leadership: Theory, Research, and Managerial Applications is widely regarded as the most authoritative resource on leadership. In 1987, he founded the Center for Leadership Studies at Binghampton University, which continues to this day. The story of transformational leadership starts with James MacGregor Burns, but Bass moved it on in substantial ways and with a more forensic academic approach. Whilst Burns was interested in the moral dimension of leadership, Bass was more focused on its efficacy. Bass was interested in how a leader influences their followers. Followers look to a leader because of their charisma, and because they trust the leader. The leader transforms the followers by having these qualities. Bass wanted to understand how a leader can generate this charisma and trust. He argued that a leader must be a role model, but must also must challenge the existing order. He saw revolutionary leaders do this and formed a morally neutral approach, unlike Burns’ more moralistic vision of leadership. In addition to the more transactional leadership roles of getting tasks done, and focusing the team on shared goals, Bass saw the transformational role of a leader being one of appealing to people’s higher-order needs. The leader as a visionary, who makes people feel like a part of something big and worthwhile – energising and concerned with purpose and meaning. People-focused leadership that celebrates diversity and builds relationships. Each member of the team feels that their leader knows me, respects me, is interested in me, and helps me. 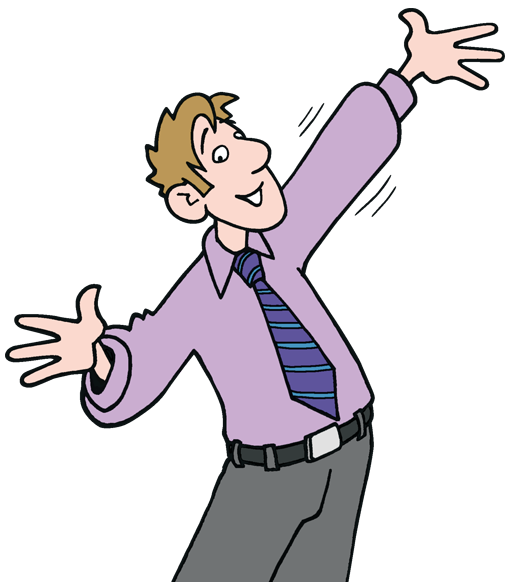 The leader stretches their followers to learn, grow and perform to exceptional levels. He or she values intellect, encourages imagination, challenges the old ways. They also place emphasis on developing their people, strategic thinking, and constructive challenge. They are adept at seeing and working with different points of view. The leader as linchpin. They are a role model who inspires respect and the desire to follow, through their personal integrity. They set and display high ethical standards, walking the talk, being honest, open, fair, and principled, and setting and living up to strong values. Bass also engaged in research into the psychometric and personality factors that influence leadership styles. This work has mostly been pursued by others. What Bass did, however, was to give a powerful behavioural prescription of the four roles of a transformational leader that nicely compliments John Adair’s roles for a transactional team leader. The Leadership Pocketbook is a pragmatic guide to all aspects of leadership.